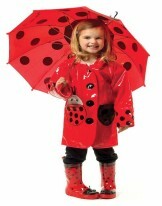 We offer a great line of rain wear that you can purchase individually or as sets. 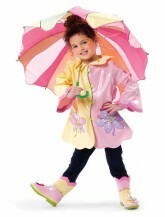 Our rain wear collection includes, Kids Raincoats, Kids Rain Boots, and Kids Umbrellas. 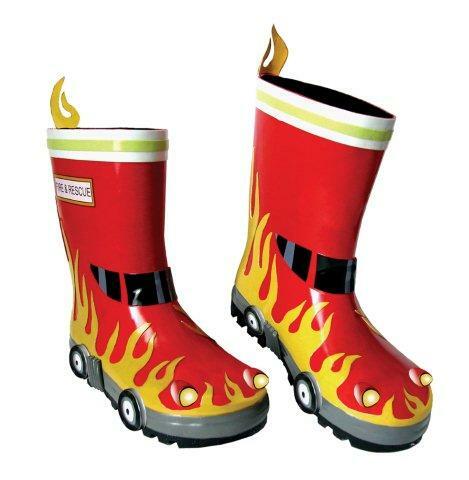 We also have My First Raincoats and My First Rain Boots that are gift packaged for easy shower gift giving. 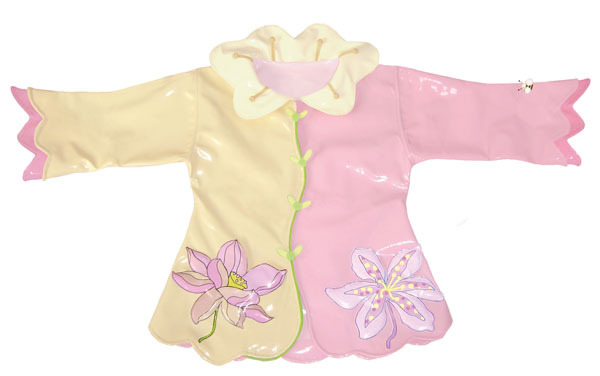 This Flower Rain Wear is made of waterproof PVC. The coat is PVC and polyester with a soft polyester lining. It snaps down the front, comes with a hood, and has 2 flower pockets in front. A matching hanger and convenient bag come with the raincoat. Don't forget to add boots or matching umbrella. Click on images for better veiws. 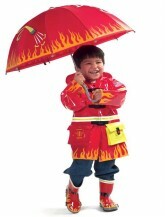 This Fireman Rain Wear is made of waterproof PVC. The coat is PVC and polyester with a soft polyester lining. Features include reflective stripes, front pockets, flames, and buckle closures in the front. A matching hanger and convenient bag come with the raincoat. Don't forget to add boots or matching umbrella. 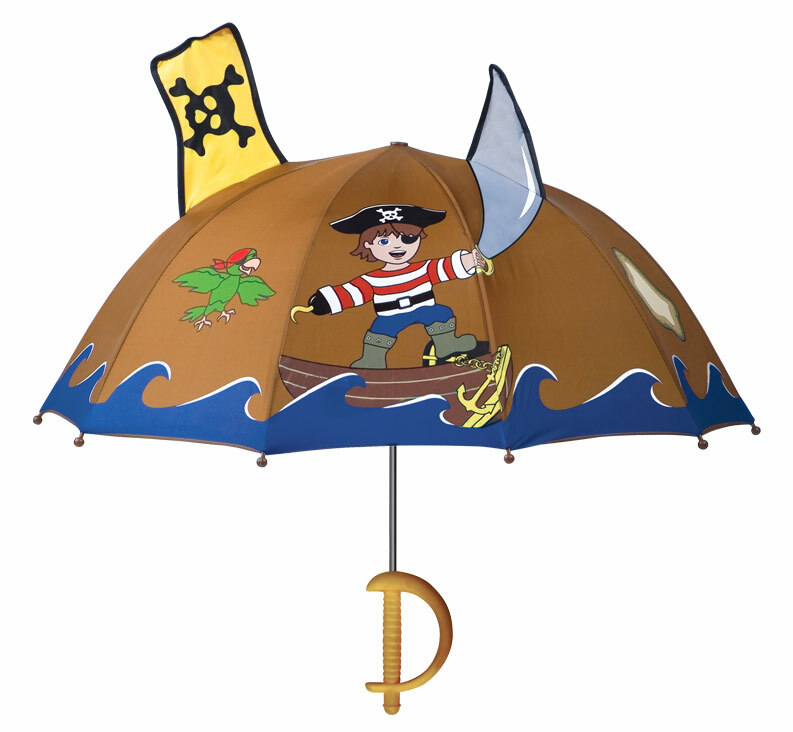 This Pirate Rain Wear is made of waterproof PVC. The coat is PVC and polyester with a soft polyester lining. It has a zipper front, comes with a hood, and has 2 pockets in front. A matching hanger and convenient bag come with the raincoat. Don't forget to add boots or matching umbrella. 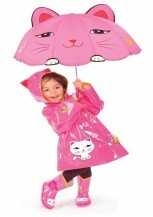 This Kitty Rain Wear is made of waterproof PVC. The coat is PVC and polyester with a soft polyester lining. It snaps down front with flower details,comes with a hood, and has 2 pockets in front. A matching hanger and convenient bag come with the raincoat. Don't forget to add boots or matching umbrella. 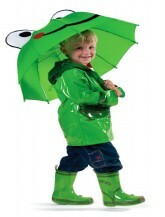 This Frog Rain Wear is made of waterproof PVC. The coat is PVC and polyester with a soft polyester lining. It snaps down the front, comes with a hood, and has 2 pockets in front. A matching hanger and convenient bag come with the raincoat. Don't forget to add boots or matching umbrella. This Ballet Rain Wear is made of waterproof PVC. The coat is PVC and polyester with a soft polyester lining. It snaps down the front, comes with a hood. A matching hanger and convenient bag come with the raincoat. Don't forget to add boots or matching umbrella. 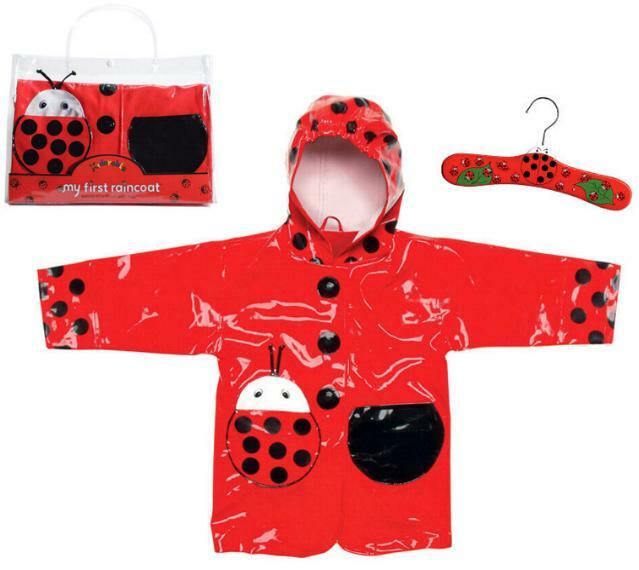 This Lady Bug Rain Wear is made of waterproof PVC. The coat is PVC and polyester with a soft polyester lining. It snaps down the front, comes with a hood, and has 2 pockets in front. A matching hanger and convenient bag come with the raincoat. Don't forget to add boots or matching umbrella.